Dr. Andreas Tiedke, a businessperson, attorney, and author, asked me some questions about Bitcoin for the Mises Institute of Germany (misesde.org) community. The interview covers some fundamental issues in understanding how bitcoin works as well as observations on current issues. This was conducted first in English, which is below. My German did prove sufficient to read Dr. Tiedke's resulting translation, published here. Well done! AT: Do you know who Satoshi Nakamoto, the alleged inventor of Bitcoin, is? Do you think it is really Craig Steven Wright? KG: Satoshi remained anonymous with great care, most likely for good reasons. His invention could be quite disruptive. He may also control a million or more bitcoins (and now a million BCH as well) from the early days of mining to get the network on its feet. This currently has a potential market value of several billion euros. These coins have never been moved. I have seen no evidence that leads me to believe he has changed his mind on anonymity. AT: There is a legend about an early offer to deliver pizza for 10,000 bitcoins. Do you know whether it is true? The pizza baker must now be a millionaire (about 40 million euros)! For monetary theory, it is important to understand that for Bitcoin’s first several months of existence—nearly a year—the tradable “bitcoin” units had no market value. It was just a technical experiment. Only later did the tradable units begin to gradually gain a market value. AT: Some believe that the blockchain has two main disadvantages: First, transactions cannot be anonymous because every transaction is stored. Second, it will become too big in the future, also because every transaction is stored. Do they have a point? KG: All transactions are anonymous in principle in that they lack any identifying information on persons or organizations. This contrasts with banking systems in which accounts must be associated with identities—except for the old Swiss numbered accounts. There are no accounts in Bitcoin itself, only addresses and transactions. New valid addresses can be generated from scratch anywhere, even using dice. That said, Bitcoin’s blockchain is public and it is possible to “connect the dots” to uncover identities behind transactions. Each wallet has different privacy characteristics and there are privacy best practices, such as always using a new address for receiving. An “evolutionary arms race” prevails between privacy features and blockchain analytics. The blockchain provides a permanent record of all that has occurred on it, so analysts can just keep going over all this data at their leisure to find associations. On the other hand, several development projects aim at improving privacy. Payment codes, for example, add a layer that enables payments to be made without revealing the underlying address. For more on the privacy characteristics of current wallets, see the Open Bitcoin Privacy Project. As to whether a given blockchain would become “too big,” that is a subjective assessment. Too big to whom and for what? Generally, the costs of data storage, processing power, and bandwidth all plummet year after year, and developers are also working hard to revise software such that it makes more efficient use of given resources. These are all important contexts for considering this. AT: What is bitcoin in your opinion? Is it money or an asset, a capital good? KG: This is still a challenging issue. The best starting point is to say that bitcoin is something entirely new, never seen before. As we try to understand it using the terminology of economics or law, for example, those concepts themselves have to be questioned in an interactive process. Beyond economics, I also used this approach in a short book addressing the relationship between bitcoin and property rights theory. So my approach is not only “What is bitcoin?” But also: “Do our theoretical concepts need some refining in light of bitcoin?” The alternative is a tendency to pretend to force bitcoin into some existing box into which it does not actually fit. Another useful principle to apply was one emphasized in the work of Ludwig von Mises—economic concepts have to do with the analysis of human action. So in looking at Bitcoin, I have emphasized that it is critical to distinguish the technical “layer” from the economic one. For example, Bitcoin existed as a technical system for nearly a year before its tradable units gained any market value. And it was nearly two years before it gained any appreciable use in the buying and selling of goods. So clearly these economic valuations emerged on top of what was already there, which was this technical layer. That means people began to figure out that they could begin to make certain economic uses out of this technical thing that was already running. Exchange values and trading venues gradually co-emerged. I argued here that bitcoin gained market value for use as a medium of exchange, which means an economic good demanded not for its own sake, but to be held and exchanged for other goods or services at some indeterminate later time. Initial uses of the units before it gained any exchange value were extremely thin and require some analysis to even identify: for example, being valued as a collectible item, or as a by-product or symbol of participation in an interesting software project, a researcher plaything, in the earliest days. Some have come to view bitcoin today as more of an asset. Rather than cash to use for day-to-day transactions, it is more a larger-value vehicle held in reserve. Of course, different people have used it in both ways and the same people also use it in both ways at different times. Both uses are possible so long as it maintains a positive exchange value and some reasonable liquidity. The value of the supply being unchangeable can overcome some degree of other inconveniences. However, these categories are not exclusive, but on a continuum. A medium of exchange use always takes place across time and involves addressing the inherent risk and uncertainty of the future. The variables under discussion are therefore the relative amounts held, the duration of holding, and the increments of future spending of the medium of exchange. In contrast, the idea of an alleged “store of value” use often used in this debate as if it were a contrast to a medium of exchange use is imprecise and impressionistic. Just as money does not “measure” value, as Mises emphasized, but is rather exchanged for goods at some indefinite future time, “value” cannot be “stored,” as if it were a certain amount of food. This “store of value” idea is more a weak intuitive analogy than a rigorous economic concept. Underneath this illusion, there are only intertemporal exchanges that take place over different time scales and in different amounts. AT: Why the division of Bitcoin and Bitcoin Cash? KG: The BTC/BCH chain split was one outcome of a disagreement over a protocol limitation on the maximum size of each block added to the chain. I have written about political-economic considerations on the block size limit here, as well as a follow-up series addressing common criticisms starting here. The “cash” side emphasizes that it is important for people to be able to transact in bitcoin without too much difficulty, and that this usability is an important component of its value. The “digital gold” side emphasizes the idea that such convenience is not especially important compared to a secure vehicle for long-term savings—adding that anyway, promised “layer 2” transacting options should supply these additional practical needs in the future, still denominated in on-chain bitcoin. A widespread belief underlying the conflict is that these are somehow contradictory visions rather than complementary ones. AT: After the recent sharp rise in the bitcoin exchange rate, some people now warn against further investing in bitcoin and some even say this could be compared to the tulip mania in 17th century Holland. Your thoughts on this? KG: This is exactly what the same people always say, year after year, and Bitcoin is still going strong, closing in on nine years with basically no downtime. I first came across this argument in spring 2013 in the run-up to about $250, but apparently it had already been expressed in 2011 in the run-up to about $30. It may be fair to argue at times that the bitcoin price is in a bubble phase, but it is another claim entirely to argue that the thing itself is a bubble—and nothing more. My sense is that this kind of “nothing but a bubble” thinking is often associated with minimal to no understanding of how Bitcoin works on a technical level. In the absence of such understanding, these critics can only envision a vague nothingness in place of Bitcoin’s technical underpinnings. Yet since many clear descriptions are now available for free online from beginner to advanced, such claims seem to indicate a willingness to comment without learning. AT: Some think that blockchain technology will have huge consequences for society in terms of decentralization. They say that this technology will give small, decentralized entities an edge over big centralized organizations. Some even say that the existence of big companies like Google or even states could be threatened by blockchain technology. Do they have a point? KG: From my perspective, there are two main implications of the first blockchain. First, bitcoin units are a medium of exchange and potential form of money that has arisen from the private sector—actually the informal sector—not from the state. This deflates the old chartalist claim that money can only come from the state, or at least can survive only with the state’s blessing. In contrast, it took states years to even start to notice it. Second, Bitcoin enables people to transact without third-party intermediation. Let us call it “permissionless transacting.” Every other kind of remote transacting requires some third-party facilitation, often by a bank. But the position of facilitator comes with the ability to refuse to facilitate, whether through corporate policy or because authorities order it. It also comes with the ability to track and create a permanent record of spending, including dates, parties, places, and amounts, destroying privacy. With Bitcoin, states can certainly take steps to outlaw certain types of transactions, but unlike with banking systems, authorities cannot block transactions to begin with. They can only seek to prosecute criminalized acts after they are committed. In societies that purport to respect due process and the rule of law, this happens to be all that such authorities are supposed to be doing anyway—in contrast to the PreCrime Division in the science-fiction story Minority Report. As for “decentralized” and “centralized” in Bitcoin discussions, these are first of all computer-science concepts. A network is either designed with a center, such as a conventional server/client system, or without one, in which case the center has been taken out of the design, thus “decentralized.” With Bitcoin, this mainly refers to adopting a peer-to-peer architecture and not having any central currency issuer that could manipulate supply. I think these computer-science terms have come to be used in a vague mix-up with economics concepts such as monopoly and competition, scale and industry competitiveness. They can generate more confused ideas than useful analyses. Economies of scale in different industries, and other factors influencing relative firm sizes, are not necessarily going to magically transform because there now exists a non-state money lacking a central issuer that can be used without third-party facilitation. AT: Could you explain what the essence of blockchain technology is? What makes it so great? KG: I would recommend reading my article on this topic with respect to the technology and methods behind Bitcoin for a fuller picture, both of the scale of the invention and why people have such a hard time understanding it. In essence, Bitcoin combined at least four major elements, most of which were first developed within about the past 40 years. Most people do not understanding any of these elements, or maybe only one or two of them, and then vaguely. These are hash functions, digital signatures, peer-to-peer architecture, and open-source development. So of course people who understand few or none of the parts cannot hope to understand a whole that combined them into something far greater than their sum. One key thing that a blockchain does is form an unforgeable record of past information, with new information continually being added at the end of the chain. Thus, while new information can be added, that already recorded cannot be erased or revised in the slightest way. This history cannot be rewritten. The fact that the tradable bitcoin units have a market value is also essential to financing the mining network in a decentralized way. The system’s security and the unit’s market value are interdependent. There has been a movement to define “blockchain” as the “real” innovation of the Bitcoin system, with the bitcoin (monetary unit) part being just sort of one silly initial idea for using a blockchain. According to this view, it is the “many other applications” and different sorts of “tokens” that are really exciting. I think this is completely backwards. While it is true that a blockchain design might have some useful applications other than digital cash and if these are indeed made to work in practice and gain real users, that would certainly be positive, a blockchain is an extremely cumbersome and expensive thing. This means there ought to be compelling reasons for using a blockchain rather than a simpler, faster, and cheaper design. The blockchain design was created to solve a very specific problem—how to create scarce digital cash with no central issuer. For most applications other than digital cash, however, a blockchain is probably wasteful, unnecessary, and over-hyped—unless proven otherwise through actual use as opposed to marketing pitches. AT: It is said that the core of blockchain technology is the math behind it. The solution to the so-called “Byzantine Generals Problem”. Could you describe what this problem is and how blockchain technology solved the issue? KG: The problem is how to get different people in different places to agree on the validity of a given piece of information without relying on communications that could be compromised and falsified at source, in transmission, or both. The lynchpin of the solution that Satoshi found was in a characteristic of hash functions. A hash is a “one-way function.” Information goes in and one specific hash of that information comes out. However, the hash cannot be used in the other direction to reconstruct any of the original information. In Bitcoin, miners have to find a hash that is below a certain value. Visibly, it has to begin with a certain number of zeros. The “difficulty adjustment” changes this threshold. The miners have to increment a random number field and keep looking for resulting hashes until they find one that is below a certain value. It is unimaginably difficult to come up with a valid hash within the difficulty requirement to begin with. It takes billions of trial and error attempts to do so. However, it is trivial to check afterwards whether a given proposed hash is valid for the block. So solving the hash of the next block (“mining”) is extremely difficult. And the solution cannot be forged or falsified because anyone on the network can quickly verify whether a proposed solution is valid. A valid solution serves as a proof that work must have been done to find it, and is therefore called a “proof of work.” There is no short-cut way to arrive at a valid hash other than doing the hashing work, which means investing in facilities and equipment and consuming electricity to brute force the hash for each specific block candidate. So returning to the “Byzantine Generals” situation, with proof-of-work, an invalid message can always be revealed as such because it can be checked using the information in the message itself, after it arrives. The message as it arrives contains all the information needed to establish whether it is a valid message or not in relation to the chain it proposes to extend. There is no need to establish whether it was falsified in transmission. It does not matter if it was. It is still either valid or not as it presents itself wherever it arrives. Another key trick to make this work is that each miner’s valid hash is only valid for that miner because his own reward address is already incorporated into his candidate block before the hash is found. That reward address is part of what is being hashed. Therefore, no others validating a proposed answer can just expropriate it for their own benefit. That particular answer they are examining already builds in the winning miner’s own address for collecting the block reward being sought. AT: Bitcoin has a limit of 21 million bitcoins that can ever be mined. But in August, the Bitcoin blockchain was split into Bitcoin and Bitcoin Cash. So, isn’t the production potential limitless, then, like with central banks? And even out of the Bitcoin blockchain, limitless other digital coins could be created. Couldn’t this threat the value of the Bitcoins? KG: This is a fascinating topic and I also wrote an article about it here. Essentially, both bitcoin (BTC) and bitcoin cash (BCH) are valid continuations of the previous Bitcoin blockchain, but the two are now permanently separated. They can never interact again as the same chain. It is a little like speciation in the natural world. Though long-separated groups of life forms share a common ancestor in the distant past, they have changed such that when descendants meet again later, they can no longer interbreed—and this is irreversible. In this case, a Bitcoin “speciation” event happened on August 1, 2017 when blocks were found that some versions of the software found valid and other versions did not find valid because of specific differences in the rules those respective versions were enforcing. Cantillon effects, for those unfamiliar with the term, refer to changes in the distribution of wealth among money holders when new money goes first to some users rather than others. In this case, every existing BTC unit became in the same moment one BTC unit and one BCH unit for each holder. I have also argued that the fact that combined prices of BTC and BCH rose in the weeks that followed, and dramatically, may suggest net value added for holders. This could be because of a market perception that the various development teams can now proceed more smoothly with their respective scaling visions, and we can see what actually becomes of these efforts in reality, rather than being limited to models, talk, and promises. Of course, anyone could split a chain at any time and continue it with certain modified rules, but it is an entirely different matter for such a chain to gain any economic value, and particularly any investment of scarce SHA256 mining power. The most likely outcome is just that no one mines a fork and it does not continue: extinction. Yet both BTC and BCH chains have survived to the present time. BCH has maintained a market price that has ranged from $200–900, and is currently about $350. In quite recent memory, that was considered a high price for the pre-split BTC. This outcome was not at all a given. An infinite number of new chain splits without any real economic justification or real-world support from miners should just result in an infinite amount of nothing happening, as each one dies off quickly or never really gets started. For daughter chains that do survive—in this case BTC and BCH both have—this survival itself may imply some perceived net value added for holders of the pre-split coin. The two are now competitors, along with all the other cryptocurrenices. This chain split was quite distinct from the crop of many hundreds of other cryptocurrencies, which are new chains started with their own rule-sets and fresh structures of coin ownership. AT: Bitcoin detractors contend that the volume of Bitcoin trade is limited and the technology could not manage the number of transactions that take place with fiat money every day. What do you think? KG: The volume of bitcoin transacting on the BTC chain has come to be artificially limited relative to demand by a 1MB block size limit that has been in place since 2010. BCH was one effort to address this by raising the protocol block size limit to 8MB. That is a level that is once again well above current regular demand, as it was for the limit’s entire previous history until recent years. Another effort to address transaction volume entails building cryptographic systems that enable trading that is “off-chain,” but purportedly preserves the quality of permissionless transacting denominated in bitcoin. I do not see any contradiction between these models, as I have explained here, but since many involved do seem to treat these more as competing than complementary approaches—and have made a competitive sport of belittling and insulting those whose views differ on this matter—this has contributed to the chain split, possible future chain splits, and the overall level of political-style contention. My own take is that on-chain and various existing and proposed off-chain options should be treated as dynamically limiting competitors in a relationship of synergy and competition. If an off-chain option actually offers superior characteristics in terms of cost and speed, it will naturally draw some business off the main chain, reducing on-chain traffic (and fees). 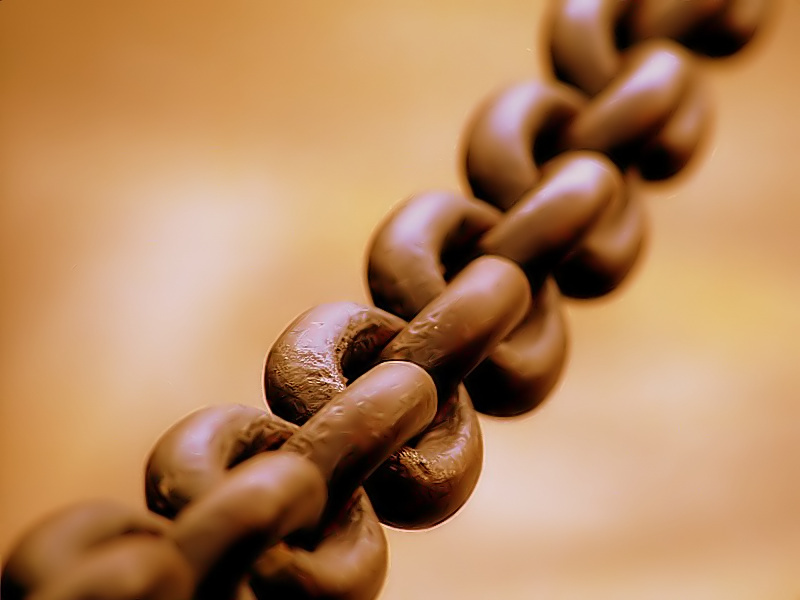 This could enable certain types of traffic off chain that would not have taken place on chain. At the same time, the off-chain options themselves require some on-chain transactions, for example, to open and close payment channels or to create a unit link with a sidechain. If such options come into wide use, they could in turn lift on-chain traffic themselves. So the factors operate in both directions and in unpredictable ways. On- and off-chain options can both create business for each other and take business away from each other in a complex and unpredictable interaction. The presence of both expands the sphere of end-user choices. In this kind of situation, on-chain and off-chain options ought to be free to compete with each other in practice, as opposed to “competing” within models and promising-contests. I view the block size limit as it now stands as artificially favoring off-chain solutions in the context of this natural competition for traffic. Promoting the continuation of an industrywide ceiling on the provision of on-chain transaction-inclusion services has lifted the price of on-chain transacting well beyond what it otherwise would have been at this early stage of Bitcoin’s development. Numerous Bitcoin businesses have left the BTC chain due to this, at least for now. Meanwhile, most of the promised off-chain second-layer ideas are not actually available for users yet. Nor is there any guarantee how much users will adopt these when they do arrive. These solutions work remarkably well in the minds of the people building and promoting them and in the imaginations of others who look forward to their arrival. However, such beliefs can never replace an actual market adoption test. Nevertheless, on-chain capacity has already been left restricted today relative to growing demand before promised alternative transacting solutions have a) arrived and b) actually been adopted by users. One result has been a ballooning of the market value of other cryptocurrencies. As the retention of the current block size limit on the BTC chain has pushed actually working Bitcoin business models away, BTC has fallen from about 85–90% of the total valuation of all cryptocurrencies to 45–50%. This is so despite BTC’s overwhelming first-mover advantages in network effect and active developer talent. First-mover advantage is quite powerful, but it is not all-powerful. AT: An article in the Swiss newspaper Neue Zuricher Zeitung covers a conference of economists in Vienna where Bitcoin critics met. Several arguments against the future of Bitcoin were made, amongst others from Adi Shamir, who is said to be one of the co-developers of the cryptographic basics on which Bitcoin technology was built. He states that there are not enough Bitcoins because the number is limited to 21 million. To my knowledge, Bitcoin is dividable nearly endlessly. And, as Murray Rothbard said, that once money has been established in the market, every quantity is “optimal." There is no social profit in increasing the money supply. What are your thoughts? KG: As you point out, there are two separate issues, divisibility and inflation. First of all, the actual unit used within Bitcoin software is called a satoshi, and the maximum number of those is 2.1 quadrillion (2,100,000,000,000,000). That is 280,000 units per person on Earth at the current global population of 7.5 billion. A “bitcoin” is just an arbitrary accounting unit of 100,000,000 satoshis, and one that the Bitcoin system itself does not even recognize. Wallets and exchanges use the convention of a “bitcoin” only for intuitive convenience. Off-chain systems such as payment channels could already increment even smaller amounts. It would also be possible to alter the Bitcoin software so that it directly recognizes units smaller than a satoshi, though there is no guarantee this would ever be done. Here is that word “decentralize” again, this time in an explicitly economic rather than computer-science context. Deflation “decentralizes financial decision making” means that people who spend their own saved money instead of spending borrowed money (or state handouts) have more autonomy and independence. This is because they do not have to seek the approval of creditors or VCs (or welfare bureaucrats) with regard to whether they get funding and how they use the funds. Yet this distinction also applies to any size of entity that is in a position to invest its own money instead of someone else’s, to act using savings rather than debt. A rising-value unit encourages savings while falling-value units—such as all fiat currencies—encourage debt and unhealthy dependence. 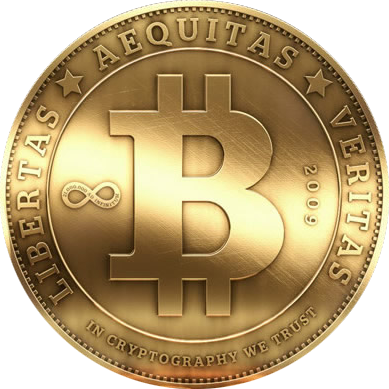 Bitcoin has arrived as the first rising-value medium of exchange seen in a long time. Inflation- and debt-addicted and dependent governments would certainly never have created such a thing. Japanese commodity money before the eight century. Source: Wikimedia Commons, PHGCOM.One of the challenges of interpreting bitcoin has been whether it can be classified under certain existing conceptual rubrics such as “money” or “commodity” for purposes of economic analysis. Could it be some strange new kind of “commodity money”? Most people immediately and intuitively dismiss this as a possibility because it is not a physical “thing,” which they feel is a defining characteristic of commodity-ness. Resort to a word such as “token” seems a convenient escape valve from this situation. However, this could also be misleading. A token in a “token money” context derives its value from having a fixed exchange rate against something else—a 100 pennies for a dollar, a plastic chip for a euro, etc. Bitcoin, in contrast, is traded directly as itself, with utterly no sign of any fixed exchange or substitution rates (see my “Bitcoin, price denomination and fixed-rate fiat conversions” 22 July 2013). My newest paper, “Commodity, scarcity, and monetary value theory in light of Bitcoin” in The Journal of Prices & Markets (Winter 2015) explores some of these issues in detail from a formal conceptual standpoint to check such immediate and intuitive responses. The paper takes the time to define and then apply core economic-theory concepts, including goods, scarcity, and rivalry, as well as classical lists of “commodity money” characteristics, to understanding bitcoin in terms of monetary theory. True, commodities are usually tightly associated with materiality. However, an economic-theory sense of commodity ought to be differentiable from a physical-descriptive sense. Economics begins with the study of choice and action, as distinct from issues addressed in physical sciences. It may be that the presence of materialness in commodities has just been assumed due to the nature of the available historical examples. For a supplemental “reality check” beyond the obscure economics library, I thought to simply go and read the Wikipedia article on “Commodity.” This should be reasonably unlikely to represent any arcane or partisan definitions from one school of economics rather than another, and should first of all represent a general-purpose range of typical current understandings of the term. I extracted some economic-theory elements from the entry, omitting illustrative examples. The examples are mostly material items, but this is to be expected due to the overwhelmingly pre-bitcoin scope of economic history so far. Indeed, part of my argument is that bitcoin may be the first rival digital commodity good (defined in the paper), which would mean precisely that it is unprecedented, a new type of example. Between the few excerpts below, I relate these presumably mainstream characterizations of commodity-ness to bitcoin. No one generally considers which mining pool mined the block that a bitcoin originated in when deciding whether to accept payment. 50 Cent, for example, is unlikely to refuse bitcoin payments for his albums from anyone using coins mined by pools other than 50 BTC. In the original and simplified sense, commodities were things of value, of uniform quality, that were produced in large quantities by many different producers; the items from each different producer were considered equivalent. Multiple producers: All the various Bitcoin miners produce interchangeable new coins. One of the characteristics of a commodity good is that its price is determined as a function of its market as a whole. Well-established physical commodities have actively traded spot and derivative markets. There are numerous bitcoin spot markets and even some derivatives markets. Commoditization occurs as a goods or services market loses differentiation across its supply base. As such, goods that formerly carried premium margins for market participants have become commodities, such as generic pharmaceuticals and DRAM chips. There is a spectrum of commoditization, rather than a binary distinction of “commodity versus differentiable product”. Few products have complete undifferentiability. Coin tracking is sometimes cited as a risk for weakening the completeness of bitcoin fungibility, so while fungibility largely holds, there is some risk of entering onto a “spectrum of commoditization” in which some differentiation could creep in under certain circumstances. Overall, I thought the entry was surprisingly clear in defining commodity in terms of economic rather than material concepts. While most of the examples of commodity were material, the economic meaning was conceptually independent of materiality. As should be expected, the discussion was about economic issues such as quality differentiation, pricing, market organization, and trading patterns—not chemistry. If we are using a term in economic analysis, a strictly economic definition should be most suitable. A 22 October 2014 white paper on cryptocurrency sidechains formalizes and advances the innovative sidechain concept and examines pros and cons in terms of both technical and economic factors. The current reply focuses on likely general factors in market valuations of bitcoin-pegged units on sidechains. This is an important topic for clarification as people begin to imagine and work to develop practical uses for sidechains. Assuming that the two-way peg will necessarily assure a matching, or even consistently discounted, market price relative to bitcoin could prove unrealistic. A scenario of independent floating market prices among sidecoins could prevail, with implications for the scope and types of sidechain applications. It was an honor to be among the participants in this panel on 17 May 2014 at the Bitcoin Foundation Conference in Amsterdam. We addressed several issues that tend to recur in discussions of economic theory and bitcoin. The main topics were the regression theorem and bitcoin; bitcoin and the role of units of account and pricing; multiple value standards and the economics of altcoins relative to bitcoin; fractional-reserve banking, lending, and direct versus other-party control; and deflation and fixed versus elastic money supplies. I have added a time-based outline after the embedded video below to facilitate noting and locating particular topics. 27:00–27:23 Matonis: Can bitcoin overcome the existing network effect? 41:34–44:12 Graf: Bitcoin allows opt-out from all “trusted” 3rd, 4th, 5th parties. Vote with your mouse. 59:46–60:55 Q1: Banks allowed to create money; unfair playing field? 62:56–63:19 Q2: Isn’t buying and holding bitcoins already an investment in all of bitcoin?